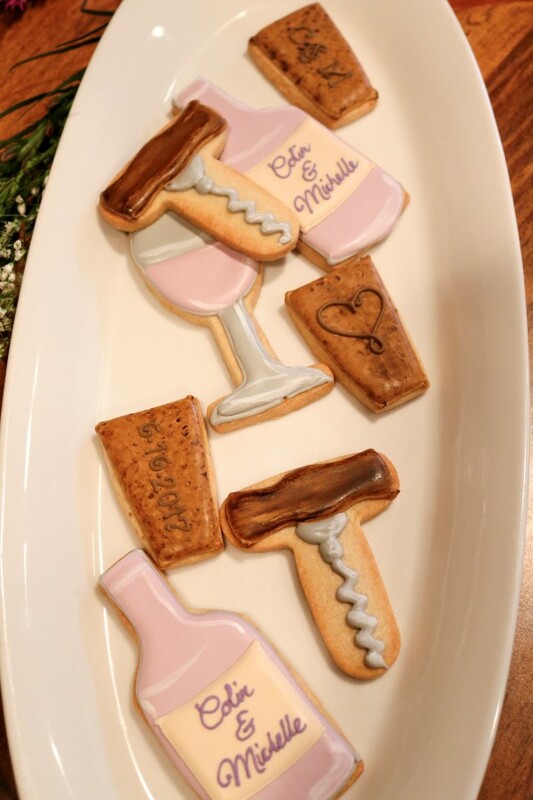 My sister in law is getting married to the love of her life this summer and this past weekend we celebrated…wine style! 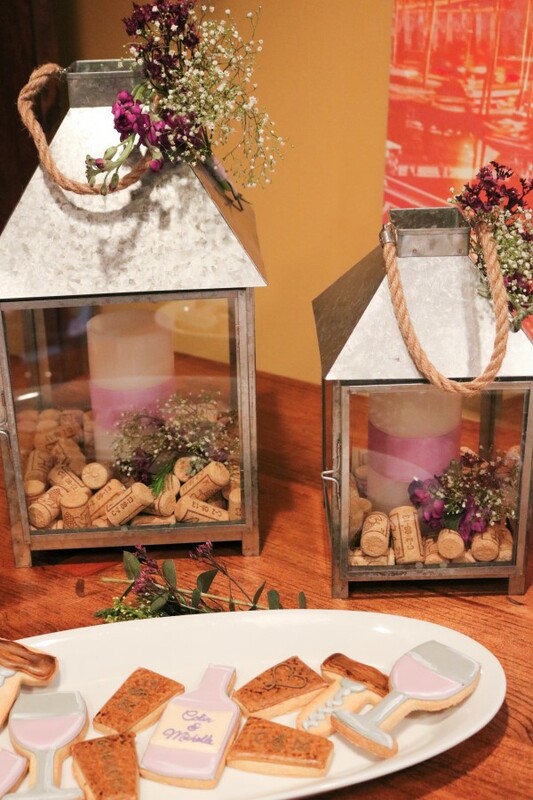 We decided the theme of her bridal shower should be a rustic wine theme for a few reasons. First, we all love wine. We are a big Italian family and wine is always a key part of any of our celebrations. Secondly, the shower was being held at a local Italian restaurant that had a gorgeous wine cellar which we knew would provide a stunning venue for the shower. 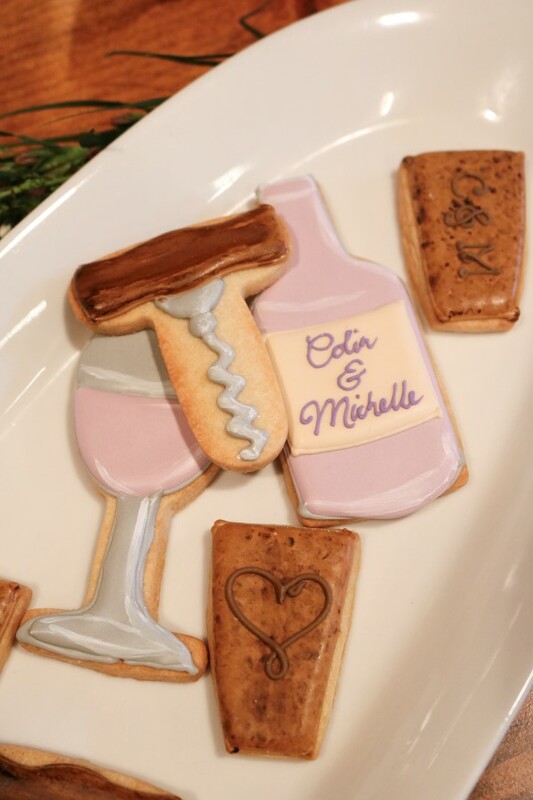 Lastly, it seemed to pair nicely with her wedding theme, which is a touch of rustic. 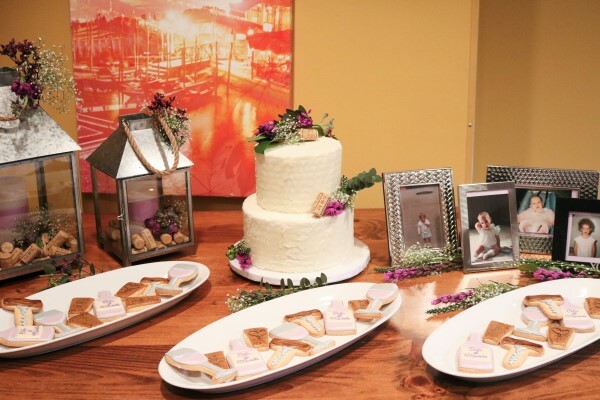 When we set out to plan this celebration of love, we knew we wanted to have a beautiful location to display the stunning cake and other desserts, but also some personal touches and themed details. A cake table was the perfect fit. You can easily create this sweet and simple look at home without breaking the bank with our diy ideas, adorable supplies from Oriental Trading Company and our budget friendly tips! 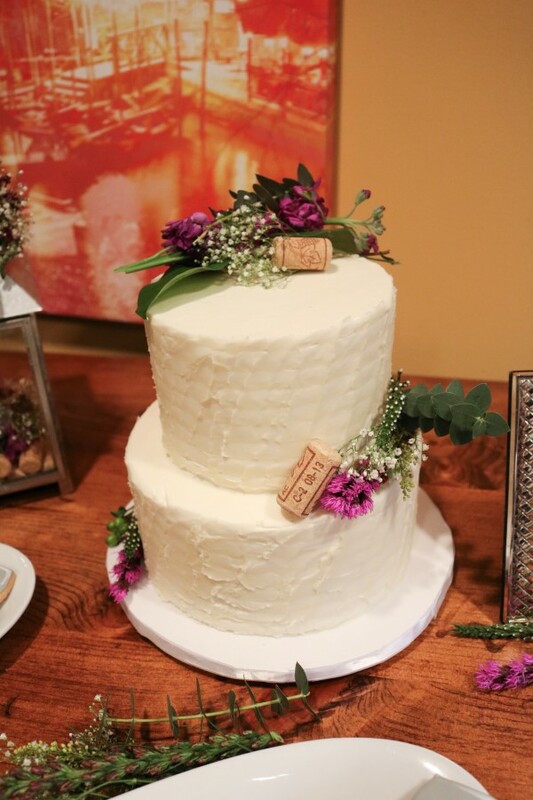 The cake, made by our dear friend Katie of Katie’s Creative Baking, was the focal point of the table. 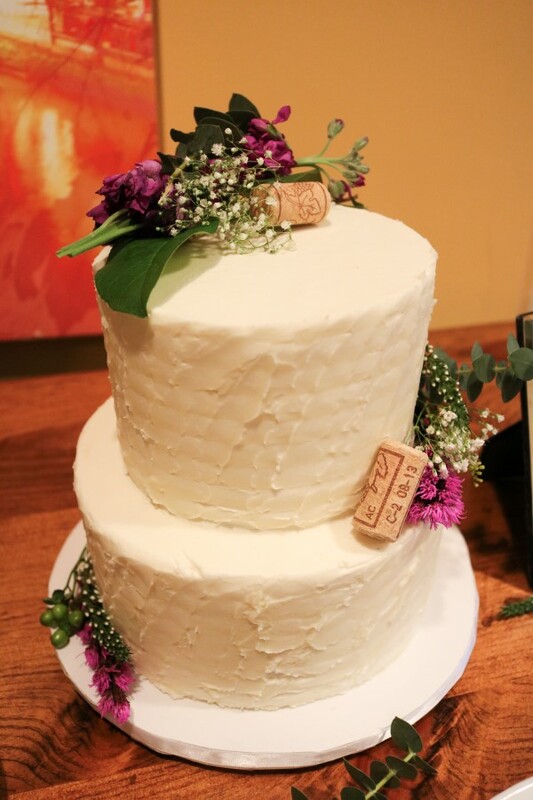 We asked Katie to create a simple looking white butter cream cake. 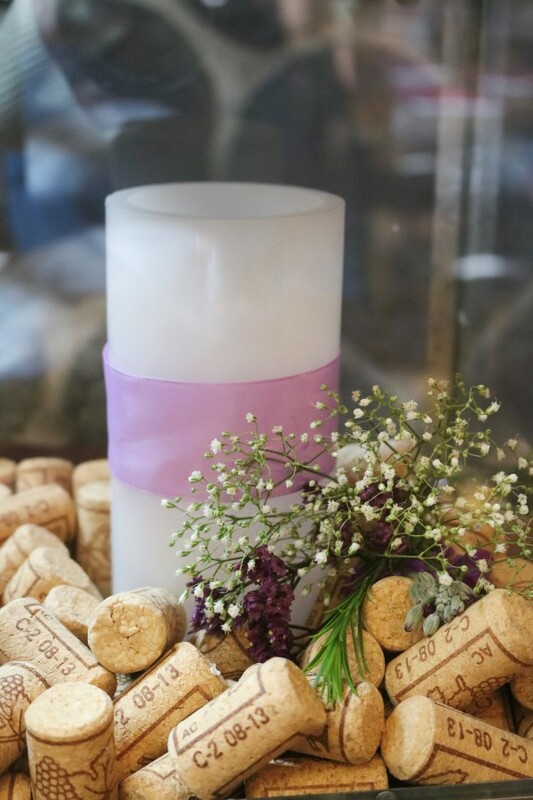 We saved on our budget by decorating it ourselves with some flowers that matched our centerpieces and some Corks we found at Oriental Trading Company. 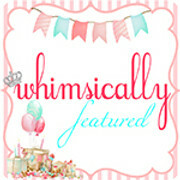 This immediately transformed a simple white cake into a perfectly themed dessert. Not only was the cake amazingly delicious, but it tasted amazing too. 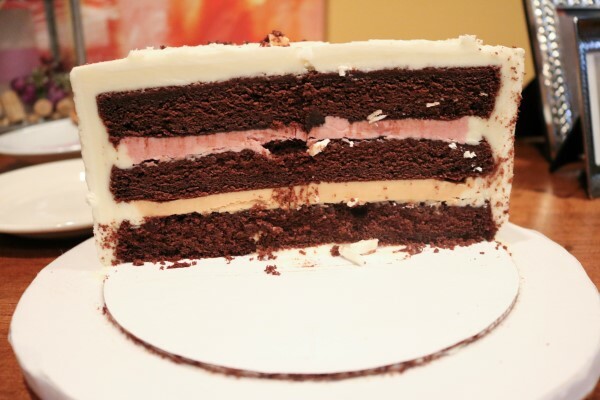 Katie layered the rich chocolate cake with caramel and raspberry filling. It was to die for! Katie also whipped up some themed cookies for us which were super adorable and perfectly themed. Decor is so important on any table, not just where the guests sit. We really wanted to do something different from the centerpieces that we displayed on the dining tables. This galvanized lantern set from Oriental Trading Company was perfect. We transformed it to fit our theme by adding 2 packages of corks to the bottom of each lantern. We then secured ribbon around 2 flameless candles and places them in the center of the lanterns. Lastly, we added a few more flowers, both inside the lanterns as well as on top. These lanterns were a huge hit with guests, multiple people asked me how we made them an where to get them! The bride loved them so much, she even held on to them to display at her wedding in a few months. 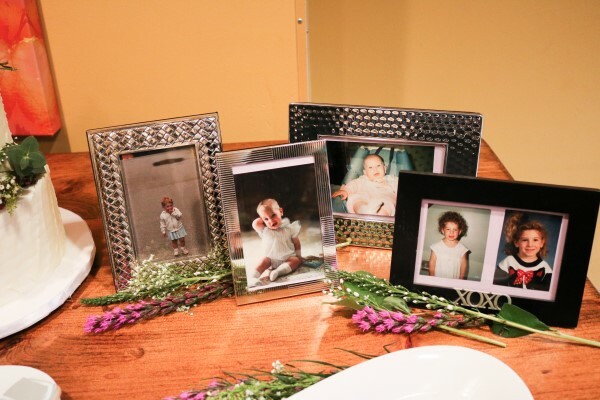 We also displayed a few baby pictures of both the bride and groom which everyone loved and was FREE! Looking for more rustic wedding inspiration? 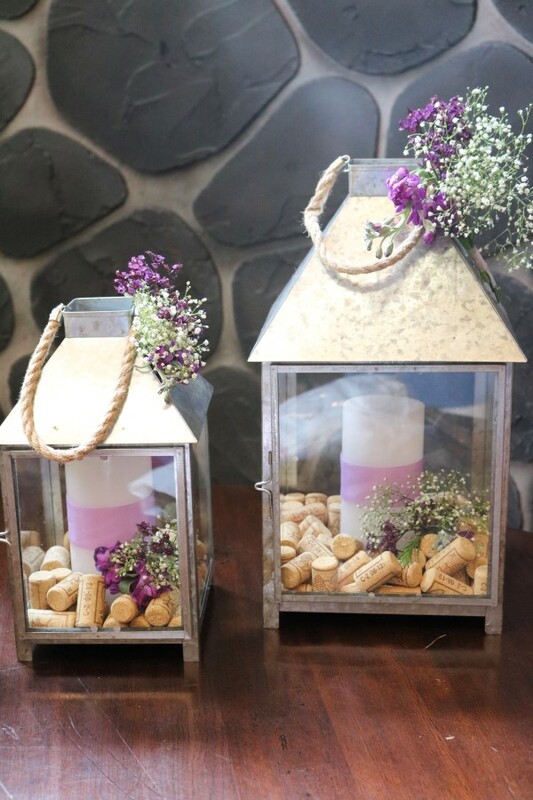 Be sure to check out How to Host the Perfect Rustic Wine Themed Bridal Shower, Create Your Own Rustic Wine Centerpieces and How to Make Your Own DIY Wine Bottle Bridal Shower Favors!